TechEd has come, and TechEd has gone… there were some cool announcements and some disappointments in the overall conference. 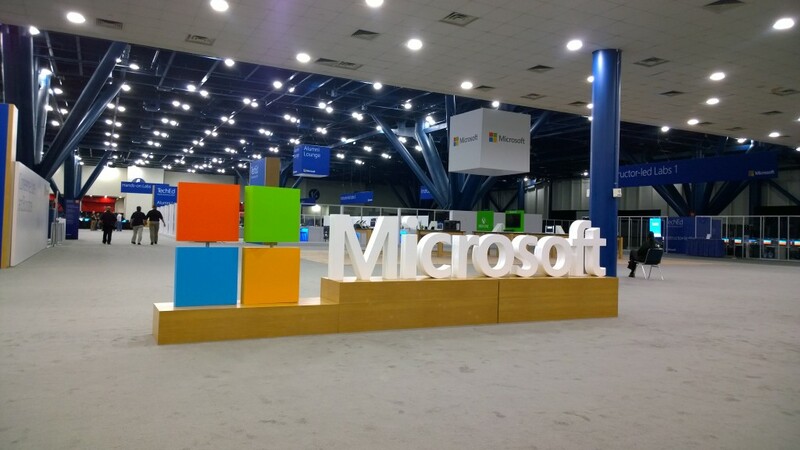 Let’s start with the cool announcements and fun things that did happen at Microsoft TechEd 2014. Hello Everyone! I apologize for my months disappearance from blogging, it’s been a busy March and will continue to be busy throughout TechEd! That is not a bad thing, and I will strive to increase my blogging. One thing that is going to help me in the interim is my Journey to my Server 2012 MCSA! Michael Bender along with MS Learning has made a push for people to obtain their MCSA with the #90Days2MCSA Challenge, this is a fantastic idea is a great way as a community for everyone to improve their skills. I’d like to start off by saying I may be a featured certification success story on the 90Days2MCSA site; however I do not have my Server 2012 MCSA yet and that means I get to participate! I’ve been hiding in the shadows and doing some studying with the official Microsoft Press 70-417 Upgrading Your Skills to MCSA Windows Server 2012. So I recently had to rebuild my Server 2012 virtual server. I had storage spaces setup and after I finished the install the Virtual Disk was not mounted. I realized that I was able to bring it all back online, but every restart it had to remount the VHD. I was thrilled when I saw the IsManualAttach property, with a simple execution of Set-VirtualDisk Data -IsManualAttach 0, I executed a Get-VirtualDisk and verified it took the settings change. After a restart the VirtualDisk was already mounted and resolved my problem with only two PowerShell commands. Windows 8 is Nearly Here! I personally have been using Windows 8 off and on since the Developer Preview was released over a year ago, more frequently after I received a Samsung Series 7 Slate in February to start working on it for work. I’ve been following all of the news articles about how this is going to change everything or how it is going to completely bomb. I’ve been in multiple conversations with co-workers, and friends from previous jobs about what will be changing and if it is an improvement or degrading and I’ve decided that I will share my point of view publicly. Windows RT (ARM Processor Devices) has Office 2013 built in. Windows 8 (Intel/AMD Devices) can have any version of Microsoft Office Installed. I’ve heard multiple coorporations wanting to implement Tablets, however the most frequent request is word processing. I was thrilled to see that they included Hyper-V into Windows 8. Gives me the ability to stay away from VMWare Player/Workstation. Home desktops, corporate desktops and tablets you can carry around with you all being the same. Can also use cloud services to share files across all these devices. Throughout the preview the mouse/keyboard usage has improved. Overall I think they have made it seem less when using either touch or keyboard/mouse combo. As hardware improves so does software, even running the same hardware I ran with Windows 7 I have a faster boot time, and I am seeing better overall performance. My personal feeling is that the interface is aesthetically more appealing. With the modified interface it will be much more challenging for people to learn the interface. Currently the amount of apps in the Windows Store is limited but growing. Some of the hardware I believe could be priced a little bit lower. I do want to clarify the Microsoft Surface is competitively priced when comparing to an iPad. Overall with the amount of experience I have with Windows 8 I strongly believe that this operating system and tablet devices have the ability to succeed. I do see this being highly usable in enterprise environments using tablet devices. I’ve spent a couple days working purely using a tablet device and docking it at work. My main concern on if this will succeed or not will come down to the ability to properly train everyone on the new operating system and how to use it. Some final notes I have on the up coming operating system and hardware that is coming out is to keep an open mind to using an entirely new interface, make sure you dedicate time into learning it and you will realize that it is a move in the proper direction.